Unfortunately he loved these just as much as I did, so I was forced to share. Using a rotisserie chicken made the filling a cinch to prepare, so the only really daunting task was preparing the sauce, but even that only took ten minutes. 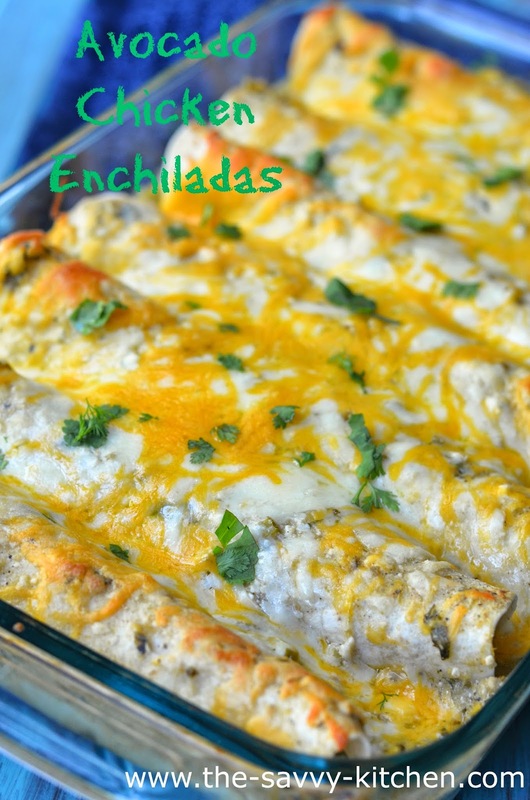 These enchiladas are creamy and decadent. The avocado adds a creamy texture to the filling and is a nice, refreshing contrast to the spicy sauce. Enjoy! In a medium sauce pan, melt butter over medium-high heat. Saute jalapeño and garlic for 1 minute. Stir in flour, constantly stirring, and cook for 2 minutes. Whisk in the chicken broth, cumin, salt and pepper and bring to a low boil. Once boiling, whisk in the sour cream, salsa verde and cilantro. Remove from heat. Spray/grease a 9×13 baking dish. Add 3/4 cup sauce to the bottom of the pan. 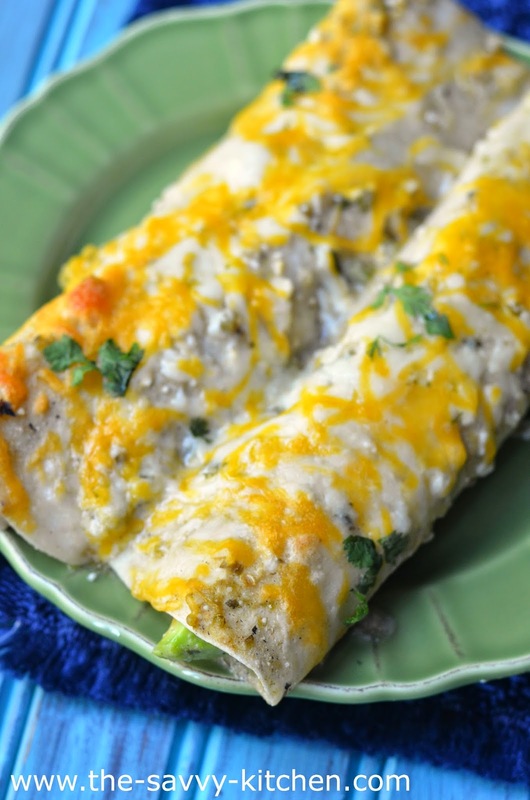 Add a small amount of chicken, cheese, onion and avocado to the center of each tortilla and roll, placing seam-side down in the dish. Repeat with remaining tortillas and filling. Pour the remaining sauce over the enchiladas. 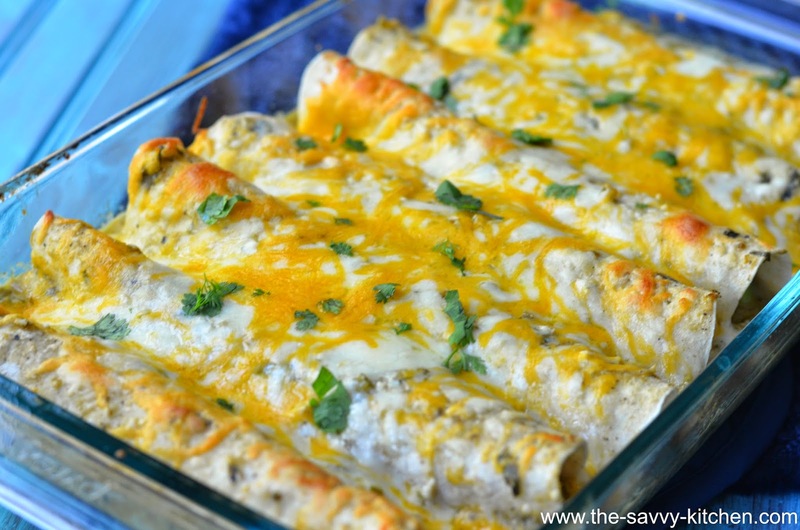 Top with leftover cheese and bake for 15-20 minutes or until bubbling. Serve immediately.